Our culture around water shows we are entering a spiritual drought. We say that clean water is a Human Right. Well, some say. The CEO of Nestlé thinks otherwise and it’s this type of reasoning that has created a situation where I wonder if we have gone past the point of no return. 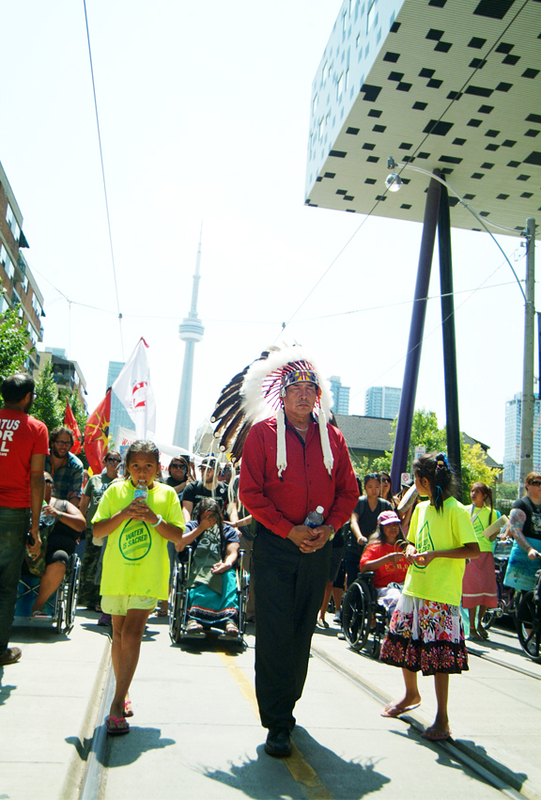 Last week I walked with those in support of Grassy Narrows and the River Run Walk. I had this moment where the absurdity of walking for water hit me. Walking in support of the right to clean water is like walking in support of the children of Gaza to live a peaceful life. It makes no sense. The protection of water, what we need to survive, and the protection of children, the ones who will carry forth our DNA into the future, should be our absolute priority. I remember my pride at one of my first primary school projects. It was about the affects of acid rain on our environment. I was 7 years old at the time and in somewhat sloppy printing writing out the facts (found in my Chickadee Magazine) about how unregulated industries were causing dirty rain to fall from the sky. In my childhood naivety I believed that if I shared this information with my teacher, an adult, people would surely change. Former Treaty #3 Grand Chief Steve Fobister, who suffers from the effects ALS, ends his hunger strike in order to live to fight on. 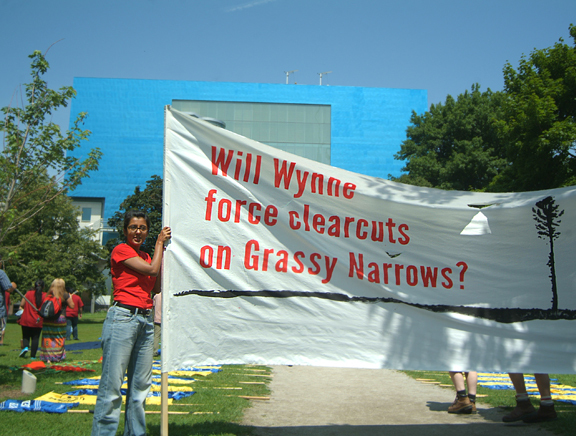 Grassy Narrows is a reserve in Northern Ontario. The people have been suffering under the impact of corporate negligence my enter lifetime. 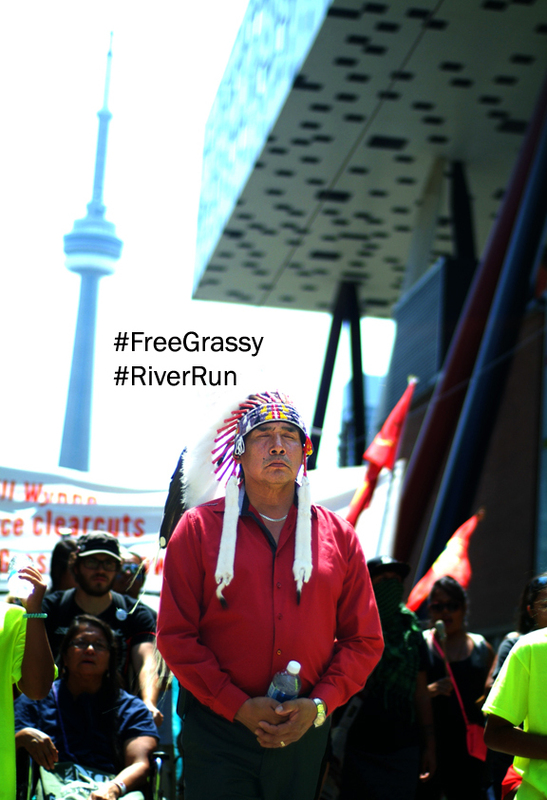 Last week in Toronto many people came together for the River Run Walk in support of Grassy Narrow (Asubpeeschoseewagong) First Nation and Chief Steve Fobister’s end of his hunger strike. The evening before, Ryerson University hosted a public forum on Indigenous Rights & Water that included Stephen Lewis as well as Anishinaabe writer Leanne Simpson. “…for eight years in the late 1960s and early 1970s, a paper mill in Dryden, Ont., dumped 20,000 pounds of mercury into the English-Wabigoon River, the lifeblood of local Anishinaabe people. 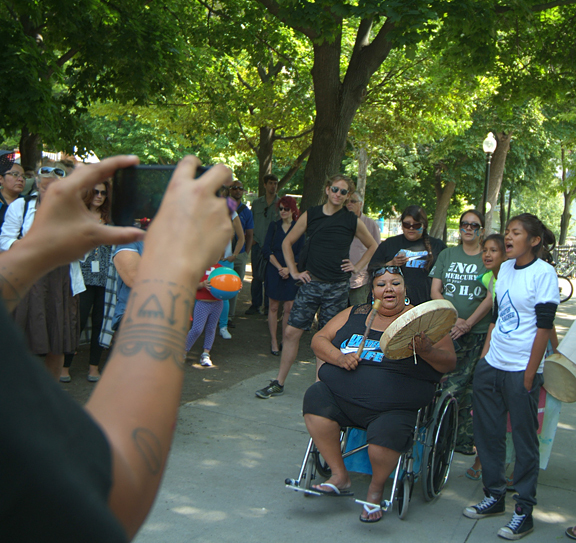 The impacts of this contamination are still being felt in the bodies, hearts and minds of the people of Asubpeeschoseewagong (Grassy Narrows), Wabaseemoong (Whitedog) and Wabauskang First Nations. 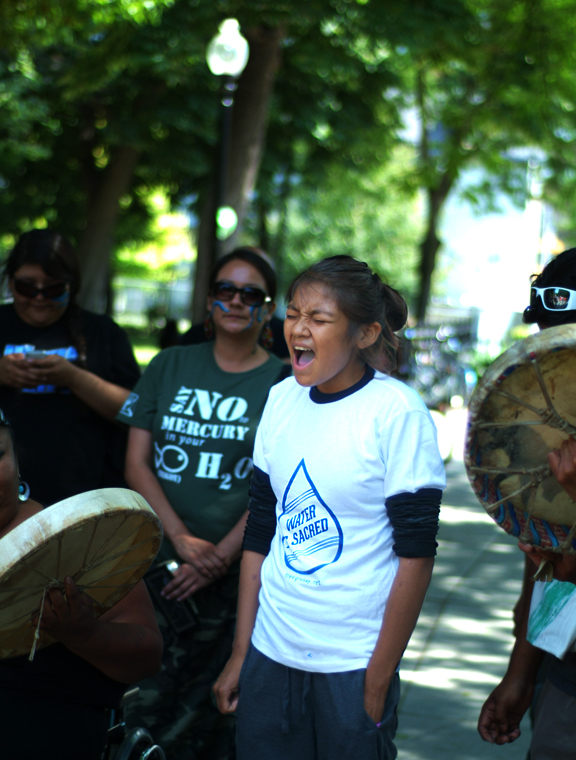 Forty years later, the mercury is not out of the ecosystem and it is still causing severe health impacts on the land and in the bodies of the people. Not even a week after the walk, my facebook feed confronts me with another disaster. In Likely, British Columbia “toxic slurry from the pond – equivalent to 2,000 Olympic-sized swimming pools” has leached into a river. The war the Anishinaabeg people of Grassy Narrow are fighting needs to be the fight of all Canadians. It’s the only way. 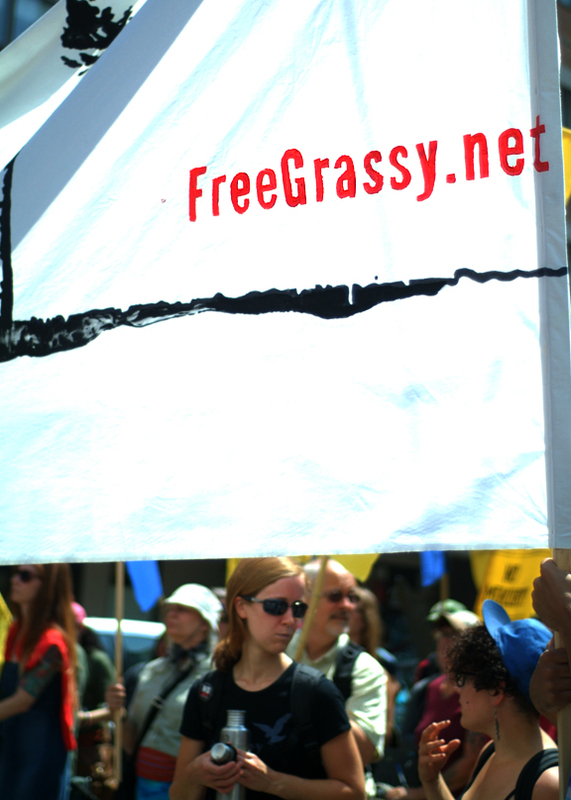 Find out how you can support Grassy Narrows by visiting Free Grassy Narrow’s website. Join Grassy Narrows Facebook Group. 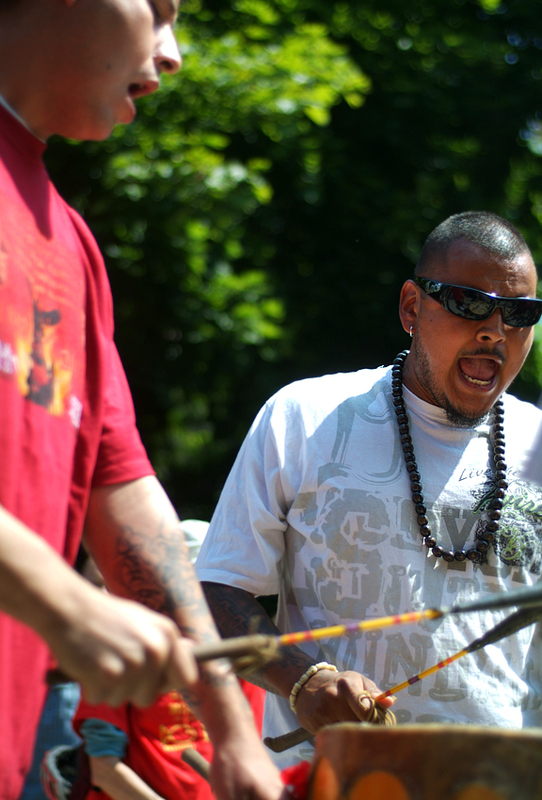 HAPPY NATIONAL ABORIGINAL DAY: Saying Miigwetch / Thank You to all the Change Makers We Met This Year! This entry was posted in Aboriginal / Indigenous, Activism, Human RIghts, Identity, Indigenous Culture, Photography Leah Snyder, Protests and tagged Aboriginal, Anishinaabe, Asubpeeschoseewagong, Canada, CBC, Chief Fobister, Environment, First Nations, Grassy Narrows, Human Rights, indigenous, industry, Leanne Simpson, Likely British Columbia, Ontario, rabble, reserves, River Run Walk, Stephen Lewis, Toronto, Water by admin. Bookmark the permalink.